What Are You Actually Drinking When You Tip That Energy Drink Can? Now that the high-caffeine and high-sugar energy drink craze dust has settled slightly, there is many people who are still looking for an energy boost but are hoping for some energy drink herbal ingredients that will give them pep without damaging their health. They’re in luck. A surge of energy drinks boasting their naturally healthy herbal ingredients hit the market and continue to climb their way up the energy drink popularity ladder. Or are they really in luck? What are these ingredients and are they as beneficial as the companies claim they are? Or are the new “healthier” energy drinks just a spin on the old? Let’s have a look at some of the more common energy drink herbal ingredients and see. This ever popular and oh-so-exotic ingredient comes to us all the way from South America where Amazonians have used it for light years to naturally increase their alertness and energy levels. It’s not only a dense source of caffeine (more so than coffee) but also zaps us with theobromine and theophylline, which are also stimulants. Because of the combination of stimulants, guarana is often marketed as an energy drink herbal ingredient that not only boosts energy, but also promotes weight loss. This herb has many uses, but when included in energy drinks, it’s generally meant to increase energy and improve memory. The only problem is that studies point to the common side effect of headaches and nausea when ginseng is combined with caffeine. This is the key ingredient in the patented formula of FRS Healthy Energy drinks and chews. Quercetin is an antioxidant found in apples, onions and other fruits and veggies that has been shown to stimulate the production of mitochondria, which in turn boosts energy levels naturally. You’ll most often see B-12, B-6, B-9 (or folic acid) and B-3 (niacin) on the labels of the most popular brands and some in massive quantities (like 8,333% of the recommended daily intake of B-12 in one little 2 ounce shot of 5-Hour Energy. B Vitamins help provide natural and healthy energy. But as it turns out, extra levels of most B vitamins above and beyond what you naturally and easily get in your diet are simply flushed out of the system. Except, that is, for Vitamin B-6. It is speculated that consuming more than 100 mg of B-6 per day (about the amount in two and a half shots of 5-Hour Energy) might cause nerve damage in the extremities. Green tea extracts, Best Multivitamin For Energy are antioxidant rich, making them a perfect addition to energy drinks particularly for athletes who could use something to counter the wear and tear of intense physical activity. Green tea is also used for its caffeine, so if you are looking to shy away from the stimulant, then choose products that use decaffeinated green tea instead. On the other hand, green tea is known to counter the rise in blood pressure that can accompany caffeine intake in itself. The weight loss benefits of green tea can only been seen at around 270-1125 mg per day, so you need to get in at least three cups to actually see the fat slide off your bones. This gorgeous grape-like berry comes from a palm tree in the Brazilian rainforests and is rich in antioxidants and anthocyanins, giving them regenerating and rejuvenating properties. They are added to energy drinks like Efusjon and MonaVie because they supposedly help lose weight, lower cholesterol and boost energy. None of these claims have been proven as of yet. Still, acai berries , Healthy Energy Boosters are like most fruits: very good for you. Yet another magical plant from South America, Yerba Mate commes from the leaves and stems of a rainforest tree that provides the stimulant caffeine while still delivering vitamins, minerals, amino acids and antioxidants. Yerba Mate, Supplements To Help With Energy is used in some energy drinks today because it is believed not to carry the negative side effects of the caffeine derived from guarana and coffee. So, What Herbal Supplements Are in Your Energy Drink? 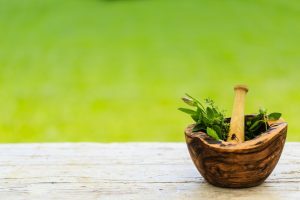 What Do These Best Natural Energy Supplement Herbal drink Ingredients Tell Us? Behind the marketing campaigns are actual products we’re allowing into our bodies. But it seems the companies want us to believe a bit more about these ingredients than the truth. Bottom Line: There’s more to energy drinks than meets the eye. What You Need to Do: Before you buy your next bottle or can, inform yourself and read up on the healthiest energy drink on the market. Note: The content mentioned in the blog is the Writer’s opinion. It can vary from person to person.